HarperCollins is proud to present a range of best-loved, essential classics. 'The sea is everything. It covers seven tenths of the terrestrial globe. Its breath is pure and healthy. It is an immense desert, where man is never lonely, for he feels life stirring on all sides. 'Scientist Pierre Aronnax and his colleagues set out on an expedition to find a strange sea monster and are captured by the infamous and charismatic Captain Nemo and taken abroad the Nautilus submarine as his prisoners. As they travel the world's oceans, they become embroiled in adventures and events beyond their wildest dreams. 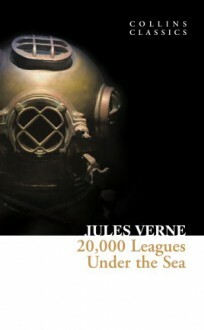 Visionary in its outlook, Vern's 20,000 Leagues Under the Sea is a legendary science fiction masterpiece.